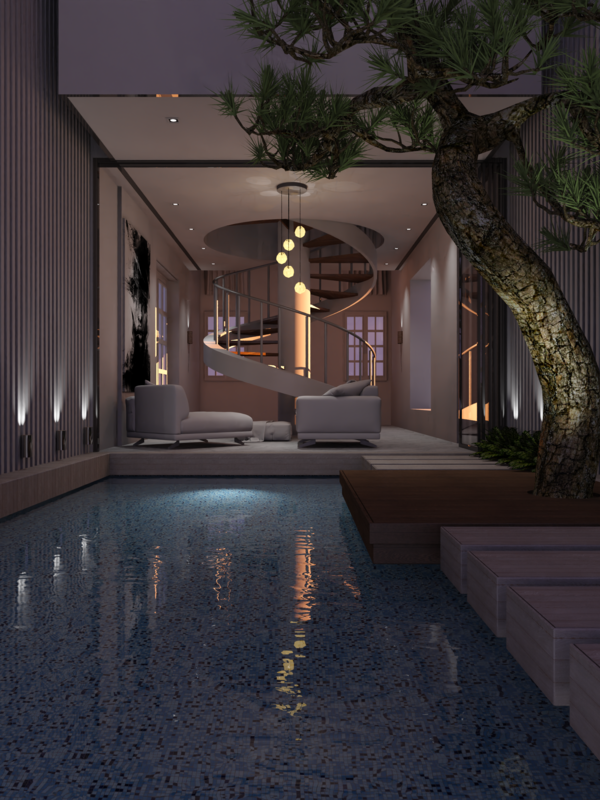 Here's an image rendered by PW and I change light model, water and glass material with PB. Hope you guys love those PW renderings posted recently. Personally... I like the darker images such as number 3 but I guess that number 4 is better lighted. Number 5 has in my opinion the contrast is too hard. Any of the first three images captures the mood of the environment nicely. Where did you find that pine. I'm working on a new project that is heavy on the pine content. If you got it out of the PB browser, just say "browser...duh!" I looked... well, thought I did anyway.